The new release date is 18 November in North America and, because it takes three days to send something digitally over the ocean, 21 November here in Europe. 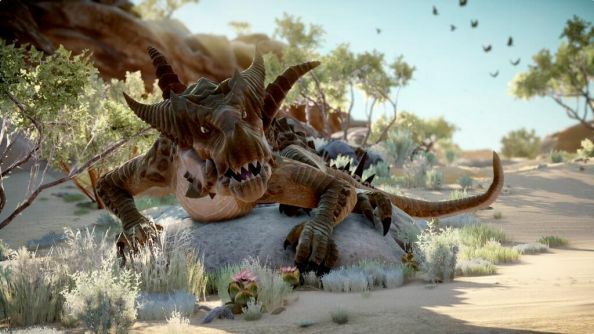 Darrah reinforces the intent the team have for Inquisition and why they don’t want to rush things at this point, saying “Since we began working on Dragon Age: Inquisition almost four years ago, our goal was to create the best Dragon Age experience ever. It was that goal that motivated many of our decisions: moving to Frostbite, bringing race choice and customization back, improving tactical camera, building a team of characters whose relationships evolve based on your actions, and most importantly, crafting an epic, nation-spanning story that both draws upon past games and takes you to many new places in the realm of Thedas. “While this extra few weeks may not seem like a lot, I know the game you’ll play will be all the better for it..
You may already be chomping at the bit to get at the next Dragon Age, particularly after reading how much Tim loved his time with Bioware’s RPG. One way to fill out the next four months of waiting would be working through the best RPGs that Fraser collected together or even trying out Divinity: Original Sin, it’s excellent.